Convention Exclusive set of 3 collectible wooden Gold Series Mutant Pin Mates™! 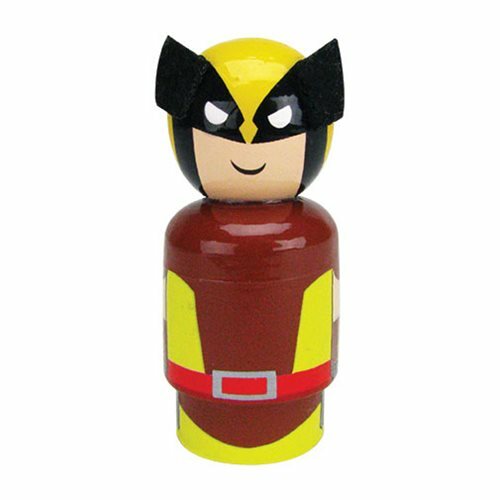 Set includes Wolverine, Cyclops, and Scarlet Witch in their 1991 outfits! They feature highly detailed, brightly colored, 360-degree artwork. Individually numbered limited edition set of only 1,500 pieces! 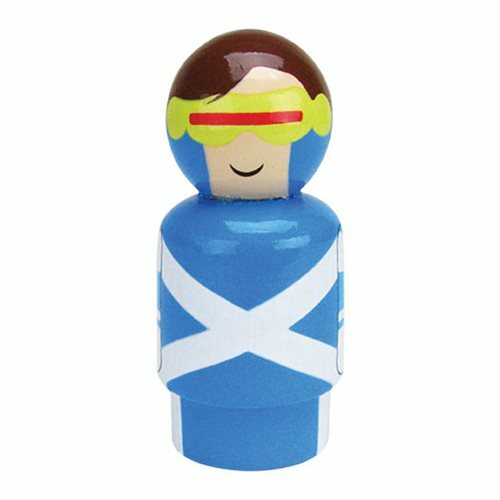 Three of Marvel’s most popular Mutant powered heroes are here for your collection in this Gold Series Pin Mates™ wooden collectibles. Includes Scarlet Witch (number G12), Cyclops (number G13) and Wolverine (number G18). 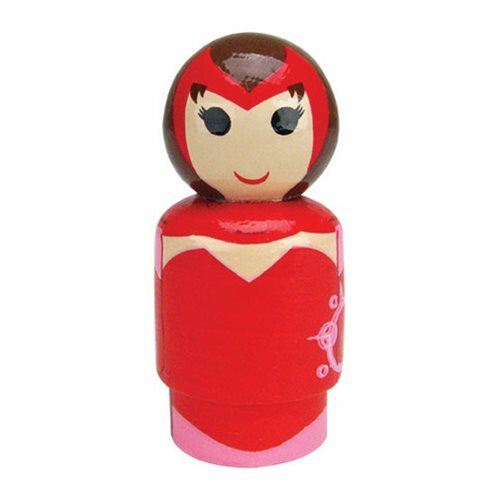 Each collectible is fashioned of solid wood and sporting highly detailed, brightly colored, 360-degree artwork. They measure about 2-inches tall, and each is a limited edition of only 1,500 pieces with an individually numbered holographic sticker! Ages 14 and up. But wait! There's more! Be sure you check out the incredible Infinity Gauntlet Pin Mates™ Set of 16 - Convention Exclusive (sold separately) that includes Pin Mates™ of Thanos, Iron Man, Spider-Man, Thor, Hulk, She-Hulk, Captain America, Drax, Doctor Strange, Vision, Adam Warlock, Cloak, Namor, Nova, Quasar, and Pip the Troll. 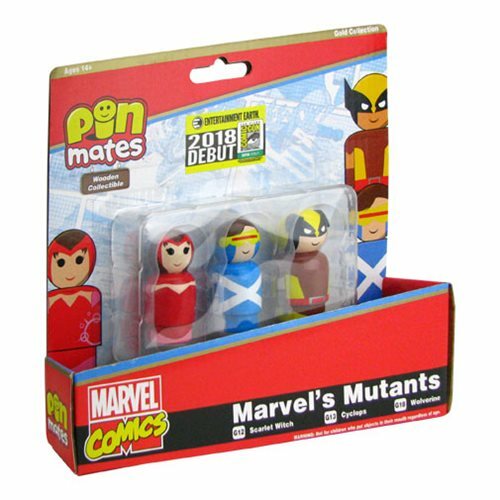 Its deluxe window box includes three empty slots specifically reserved for these three Mutant Pin Mates™ to add to the overall art work homage!